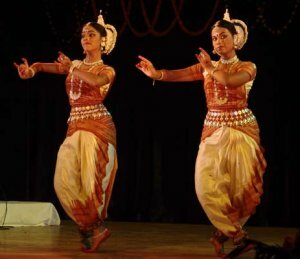 For two reasons, the initiative taken by Guru Kelucharan Mohapatra Odissi Research Centre in mounting the National Festival of Odissi Dance and Music 2009, is an important one. First, it provides a much-needed opportunity for a varied age group of Odissi dancers and musicians to perform and interact. 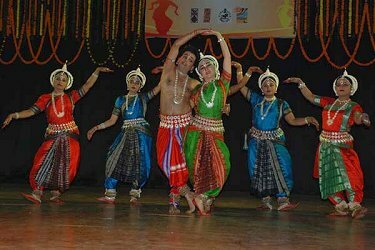 Second, the audience to this kind of five-day festival has been an educated and discerning one, with a good attendance of people directly involved in the teaching and propagation of classical Odissi dance and music, such as Gurus, performers/teachers as well as students of dance and music. I wish to record my thanks to the Guru Kelucharan Mohapatra Odissi Research Centre for having invited me to be one of the three observers for the duration of the festival. It is my intention to be candid and objective in my comments, with the hope that my observations can lead to some analysis which can further develop this very essential platform for Odissi dancers and musicians. The daily evening schedule of performances began by three music performances followed by dance performances consisting of two solos, one duet, a solo performance by an invited artiste and finally a group dance. The inherent weakness of this kind of programme structuring is that the concluding programme of the evening gets delayed, suffers from a rapidly depleting audience and tells on the patience of the dancers who have waited from the early hours of the evening with make-up etc. - The evening programmes never started on time since either the guests of honour were rarely punctual or a large section of the audience was late in arriving. - The opening performances slotted for three music programmes invariably went much beyond the allotted time, thereby throwing the time schedule for the dance performances entirely out of gear. There seemed to be no organizational control on the extra time consumed by the initial music performances, thus leading to very thin audience for the concluding part of the evening. Some of the dancers also compounded the problem by going beyond their allotted time limits. - There were added disruptions caused by the staff responsible for the stage management at Rabindra Mandap. On some occasions, there was nobody to draw the stage curtain on time; at other times, the staff was not immediately available to remove the stage prop, and this led to unnecessary delay and tension for the following item. For example on the opening day itself there was an approximate 8 minute delay in drawing the curtain during the transition between the 3rd musical programme and starting of the first dance item. NOTE: The only way to overcome this problem is to a) start the programme punctually on time without waiting unduly long for delayed invitees and b) to have strict guidelines as to the duration of each performance and impress upon the artistes, beforehand, that they must not exceed the time given to them. This will streamline the daily schedule of the festival and lessen the frustration of the artistes who are performing towards the end of the evening. c) The concerned staff dealing with the stage must be properly disciplined; this is a national level cultural event and its importance must not be sullied by the inattentiveness of a few people in charge of managing the venue. I would like to emphasize here that, conversely, the sound and light management were very satisfactory. I would like to state that the morning sessions on four days of the festival were conducted smoothly. Since there was a need to accommodate a large number of dancers, the morning sessions provided a good alternative platform and along with the seminars, fulfilled a useful purpose. However I wish that there was a bigger audience of dance students, artistes, Gurus and culture minded citizens for the morning sessions, since the performers themselves were young and enthusiastic and deserved a larger audience. 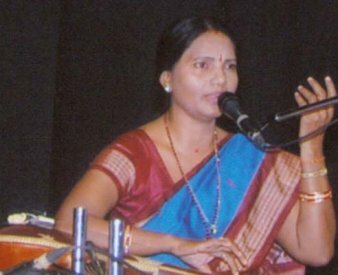 As a senior and experienced vocalist, who has worked with the likes of Guru Kelucharan Mohapatra and Pt. Bhubaneshwar Mishra, Rakhal Chandra Mohanty was an obvious choice to sing at the opening of the inaugural evening's programme. However his performance fell short of his own high standards and the standards expected of a National Festival. Possibly due to advanced age or some other factor, Sri Mohanty failed, on number of occasions, to sing perfectly in key. The absence of his normal tunefulness was rather disappointing. 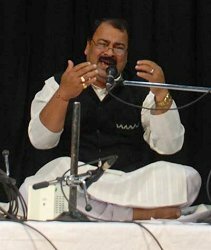 He sang an Oriya song ("Kuhu kuhu ke bole" in Raga Basanta) and an ashtapadi from Gita Gobinda ("Dhira Sameere Yamuna teere" in Raga Kalyan). 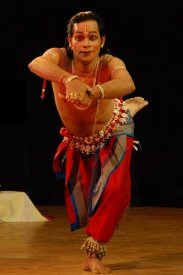 The next item was an Odissi song ("Ago ghana kuntala kahinki kara go hela" in Raga Ragesri) by Mahapatra Minati Bhanja. It was a competent performance but due to few slips in key, the singing did not reach the level of excellence normally expected of her. The final item in the music section was a vocal duet sung by Sarbeswar Baitharu and Nalini Kanta Patnaik. The rendering of the songs "Pheri pheri ana" in Raga Chandrakanta and a "Pallavi" in Raga Bhairabi was excellent, and this performance went some way in compensating for the lacunae of the preceding performances. 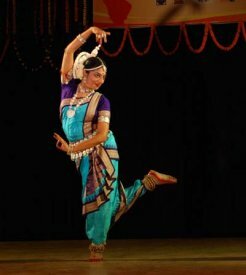 In the opening item of the dance section, Pranati Mohanty gave a subtle, dignified and composed recital in Odissi dance to the song "Priye Charushile" in Raga Gurjari Todi from an ashtapadi in Gita Gobinda, choreographed by Guru Kelucharan Mohapatra and music by Pt. Bhubaneswar Mishra. This senior artiste did full justice to the beauty of this old and classic composition in Odissi. The next item was by Moumita Ghosh, who gave a competent performance of a "Pallavi" in Raga Khamaj, choreographed by Guru Kelucharan Mohapatra and with music by Pt. Bhubaneswar Mishra. The third item was a duet by Sarita Mishra and Mamata Das. This performance was very well received by the audience and stood out for a skilful combination of both subtlety and brightness in pleasing proportions. 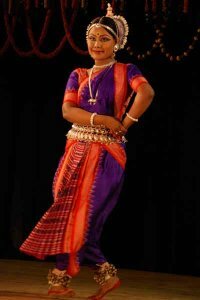 This abhinaya was danced to an Oriya song "Mohana Murati Chhai Lo", choreographed by Guru Bichitrananda Swain and music by Sangita Gosain. This was followed by two pieces of abhinaya performed by the highly acclaimed veteran Kumkum Mohanty and it was a pleasure to see her on stage since her performances have become rare in Bhubaneswar. Her dancing was evocative of the style of her Gharana and though the abhinaya was in her usual heavily expressive manner, her excellence in portrayal, her use of the stage and the vigour of movement was surprising for an artiste who is so advanced in years. Truly a memorable performance. 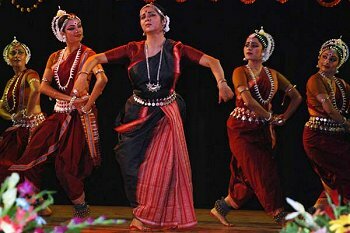 The abhinaya pieces were danced to two Oriya songs- "Are babu Shyamaghana tu gale madhubhubana" in Raga Pancham Baradi and "Laje mu gali sari aja" in Raga Khamaj. 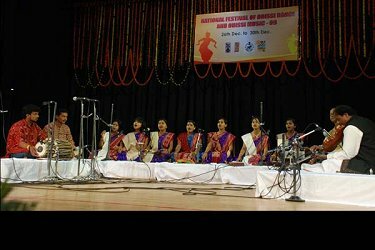 Both the abhinaya pieces were choreographed by Kumkum Mohanty and while the first was set to traditional music, the second was tuned by Guru Harmohan Khuntia and is an adaptation of the original tune of Pt. Balakrushna Das. The concluding item was by Sharmila Biswas and group. The two innovative presentations in Odissi style ("Katha Surpanakha" and "Abartana Bibartana") were rendered very well with every member of the group putting up a quality performance and managing the interchanging of the roles flawlessly. The music for "Katha Surpanekha" was composed by Prafulla Kar with Guru Dhaneswar Swain as rhythm composer, and was a comfortable blend of traditional and modern styles which supported the dance as a perfect match. The music and rhythm for the second piece were composed by Guru Ramahari Das and Guru Dhaneswar Swain respectively and was an example of quality music and rhythm enhancing the choreographer's work. Both these dance items were choreographed by Sharmila Biswas. On 27th December 2009, the seminar on Odissi music which was supposed to start at 10am suffered a delay. Held at the same venue, the seminar was well attended by number of singers, musicians, dancers, students, Gurus - their presence and active participation did justice to the subject of the seminar "basic features in Odissi vocal rendering." Informative papers on the subject were presented by Guru Ramahari Das and Kirtan Narayan Padhi. Of the four dancers slotted to perform after the seminar, one (Priya Singh, Mumbai) was absent. 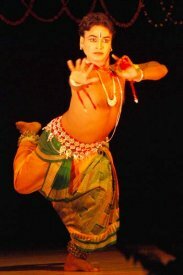 Mani Behera danced to Oriya song "Radharani sange nache Murali pani" in Raga Bakulabharana, Mithilesh Patnaik danced to "Ganesh vandana" in Raga Bajrakanti and the concluding performance was by Sangya Sucharita who danced the Devi Stutee to "Dhyaye subarna barna." All the dancers met the expected standards of performance. In the case of Mithilesh Patnaik who is challenged by Autism, it was obvious that a tremendous effort has been made by the dancer to reach this level of competence; also obvious was the feeling that he will strive even harder in future. For me, this was an inspirational experience. The opening of the evening's programme was graced by the presence of Guru Banamali Maharana, Suchitra Mahapatra and Bhabani Prasad Ray, Dy. Secy. Culture, Orissa. The opening item was percussion group playing the Mardala in Adi Tala and performed by the well-known Mardala Academy. The performance certainly did not live up to the reputation of the Mardala Academy and seemed hardly rehearsed. There was surprising lack of syncronisation and for an institution which is trying hard to promote this Odissi instrument, its own performance at this National Festival was disappointing. While the item composition bore the expert stamp of Guru Banamali Maharana and the able assistance of Gurus Dhaneswar Swain and Satchidananda Das, the players themselves seemed quite unable to engage with the level of competence expected of an academy whose sole focus is the Mardala. 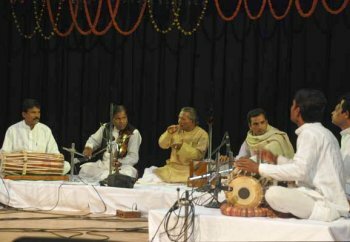 The performers were Surendra Maharana, Manoranjan Mohanty, Manas Sarangi, Dibakar Parida, Niranjana Sahoo and Bijay Kumar Barik. The next item was rendering of two songs in Oriya by the well known senior artiste Lata Ghosh. 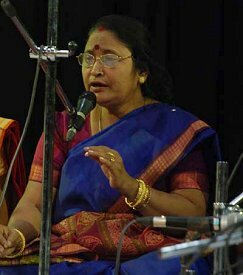 While her performance was by and large satisfactory, the harshness and loudness of the Mardala accompaniment by Kalandi Charan Parida at times overpowered the singing, thus disturbing what otherwise could have been a competent performance. The songs rendered were "Kahibu jai Shyama bandhunku" in Raga Bakula Bharana and "Sate ki bhangi kala Banke chanhila" in Raga Mishra Jhinjhoti. The music for the first was composed by Pt. Bhubaneswar Mishra and the music for the second was composed by Harmohan Khuntia. Far exceeding the time allotted was a glaring lapse by Lata Ghosh which affected the subsequent programme. Next came a pleasing and moving group performance by Gopal Das Smaraki Kala Kendra, Nasipur, Kendrapara who sang the familiar Oriya song "Kadamba bane banshi bajila" in Raga Kalabati. The group members achieved commendable harmony and seemed to have been well trained for the purpose. The song was conducted by Sushanta Kumar Pani. The dance section of the evening programme was initiated by Leesa Mohanty who performed three items competently, though she was also responsible for going beyond the time limit. She performed an invocation to Lord Krishna in Raga Kalyan and Jana Sammohini: her second and third items were a "Pallavi" in Raga Kedar Kamodi and a dance composed to an Oriya song "Munha muhin Kishora" in Raga Bagesri. The first two items were choreographed by Durga Charan Ranbir and the third item was a choreography by late Guru Debaprasad Das. 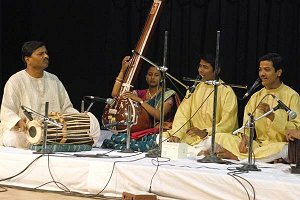 The musical compositions were by Sudhakar Samal and Guru Ramahari Das respectively while the third item was set to a traditional tune. The next item was by Niharika Mohanty from USA. Her presentation of a "Pallavi" in Raga Bihag was carefully executed and pleasing to watch. It is obvious that very good preparation has gone into her performance, and specially noteworthy was a fact that all the nuances were apt and in the right places. For somebody living in distant USA, her having kept in close touch with the style, and sincerity in practice, is commendable. The item was choreographed by Guru Kelucharan Mohapatra and music by Pt. Bhubaneswar Mishra. 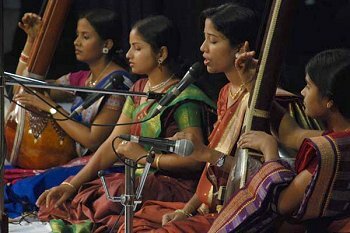 The next item, a duet by Anindita Parida and Minati Mohapatra consisted of two pieces – a "Pallavi" in Raga Belabali and an abhinaya based on a traditional Oriya song blended with elements of Raga Khamaj "Kahin gale murali phunka." Although the performance was correct in all aspects, there was a certain lack of maturity possibly due to the very young age of the performers. Given the technical correctness of the performance, the future seems bright for these two young dancers. Music for the Pallavi was by Lakshmikant Palit, and choreography for both the items was by Dr. Ileana Citaristi. The following item was in two pieces performed by Aloka Kanungo. She performed a "Pallavi" in Raga Kamodi and an abhinaya based on the theme "Maha Vidya" in Ragamalika. While her performance displayed the perfection natural to a highly experienced and senior artiste, the dancing can be best described as "adequate." Missing were the flashes of brilliance normally associated with her. Both the pieces were choreographed by Aloka Kanungo and the music was composed by Guru Ramahari Das. The concluding item was a group dance performed by Guru Gajendra Panda and members of the Tridhara institution who performed "Dasavtar." While the music composition by Guru Gopal Chandra Panda was of superior quality and pleasing to the ears, the dancing left much to be desired! Though Guru Gajendra Panda's performance was good, the rest of the dancers showed woeful unpreparedness for a performance of the level of a National Festival. Some dancers kept ramming into each other and their lack of expertise was highlighted against the very satisfactory performance of their Guru Gajendra Panda, who had also choreographed the piece. The morning session of the 28th December 2009 was inaugurated by Guru Ramahari Das. The opening item of the morning session was a performance titled "Panchabhuta" by Vani Madhav. It was a good performance and it showed that she has kept in practice over the years and maintained a close touch with the classical form, in spite of being absent from Orissa for so long. The item's choreography was by Guru Sudhakar Sahoo and the music was set by Guru Ramahari Das. The next item, the very popular "Ahe Neela Shaila" was performed by Arpita Swain. Overall it was a good performance but there is one aspect which she needs to look at carefully. The transitional passage between the end of one movement and the beginning of the next was not clean and clear cut, thereby affecting the polish of an otherwise good performance. It was choreographed by Guru Kelucharan Mohapatra and the music was adapted from a traditional tune by Pt. Bhubaneswar Mishra. Arpita performed to recorded music. 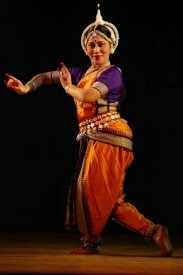 The subsequent item was danced by Isha Satapathy, and what could have been a standard performance was diminished in the second half of the Pallavi (in Raga Bilahari) by a noticeable shortness of breath. For such a young dancer, this lack of stamina gave an unpleasant surprise. I am a little disappointed since, in the past I have seen a number of good performances by her. The item was choreographed by Guru Kelucharan Mohapatra and the music was composed by Pt. Bhubaneswar Mishra. The next item was performed by Manasi Pandya and was the "Nabadurga" which is a popular item in Odissi. The performance was a good one but could have been excellent had there been a more fulsome expression of "bhakti bhava." However, for someone who lives away from Orissa, her performance showed evidence of good practice, preparation and commitment. The item was choreographed by Guru Pankaj Charan Das and the music was composed by Sri Harihara Panda. 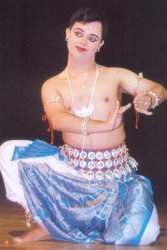 The following item was a composition titled "Dhyaye subarna barna" and danced by Prashant Behera. It was a satisfying and complete performance by this young male dancer and the future looks very promising for him if he can maintain this level of performance. The choreography was by Guru Gangadhar Pradhan (assisted by Aruna Mohanty) and the music was composed by Guru Gopal Chandra Panda. The next item "Nabadurga" was performed well by experienced dancer Sayomita Dasgupta. In her performance she brought out the persona of Goddess Durga very well and all aspects of her performance were pleasing. 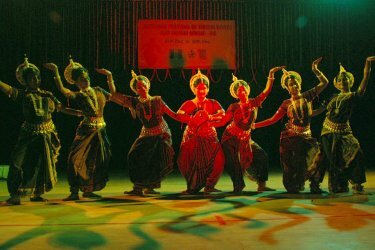 The choreography was by Guru Ratikant Mohapatra and the music was composed by Sri Harihara Panda. The concluding item of the morning session was a set of two pieces performed by Jyoti Rout and group. The first was a "Pallavi" in Raga Abhogi. The choreography could have been conceived better, since the design of the movements appear to follow a stereotype and greater imagination in planning the movements would have certainly lifted the item to a higher level. 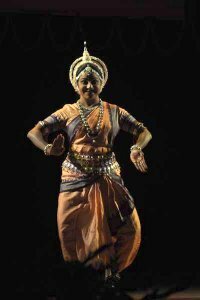 Although the dancers were a talented group, what seemed to be lacking was adequate practice and the kind of preparation that an Odissi Pallavi requires. The second item was an abhinaya based on the classical Bhima Bhoi poem "Iha janmara nama bramhe majja dhire." The musical composition for this piece was excellent and had a distinct Oriya flavor to it. The combination of "Khanjani" and "Mardala" produced a very interesting and unusual sound, and the synthesis of all the musical elements was praiseworthy. Both the items were choreographed by Jyoti Rout who also performed with her group in a satisfactory manner. The music for both the items was composed by Sarat Kumar Sahoo. The evening session was inaugurated by Sri Prafulla Mohanty and Guru Dhaneswar Swain. The opening item was a vocal recital by Sukanta Kumar Kundu who rendered two songs titled "Jibu nahin sajani kunja banaku ekaa" (written by poet Benudhara) in Raga Kirwani and an ashtapadi "Pashyati dishi dishi" (poet Jaydev) in Raga Bhairavi. Since we are used to hearing him as an Odissi accompanist, it was a pleasant change to hear him singing solo. As expected, it was a standard performance which could have graduated to an excellent one had the singer delivered the gamaks more fluently. While the preparation seemed good, the actual performance fell somewhat short of expectation. The next item was a flute recital by Aviram Nanda who rendered two pieces titled "Sajani ki laje sarili" in Raga Bagesri and "Mana Sumana" in Raga Mishra Khamaj. It was an excellent performance and the accompanying instruments blended well with the main instrument. It was evident that the training he has received under Prof. Mohini Mohan Patnaik and Pt. Hariprasad Chaurasia has honed him into a complete musician. The following item was a duet by Rashmita Mohanty and Pipsita Mahapatra. They sang "Jaha dekhili go ma" and "Sakhire mora kunjaku". The music for these two songs was composed by Guru Balakrushna Das and Guru Ramahari Das respectively. It was a good performance and each singer complemented the other well. 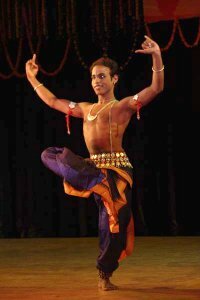 The first item of the dance section was the "Ardhanarishwara" by Bijay Kumar Sahoo. While the dancing was by and large competent, the exaggerated opening of the dancer's chest disturbed the aesthetic quality of the dancer's body-line. Since the "Ardhanarishwara" subject packs a lot of power and depth, the dancer should take care not to over-dramatise body movements. The choreography was by Guru Kelucharan Mohapatra and the music was composed by Pt. Raghunath Panigrahi. The next item, titled "Shivastaka," a beautiful composition by Guru Pankaj Charan Das was performed by Roopashree Mohapatra. Indifferent preparation and lack of practice was evident in this dancer's performance, which failed to bring out the beauty of her Guru's fine choreography. Much more grace and fluidity of movement was expected of a dancer of her seniority. 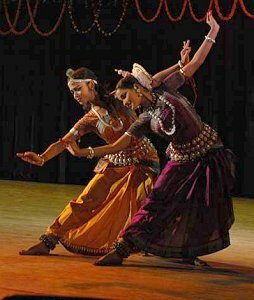 The following item was a dance duet presented by Simasurajita and Puja Panda. They performed an abhinaya based on an ashtapadi ("Hari iha mugdha badhu nikare" in Raga Mishra Khamaj) from Gita Govinda. There was charm in their performance and the duo though very young in age, danced with a confidence that comes from good practice and preparation. Truly a successful stage presentation. 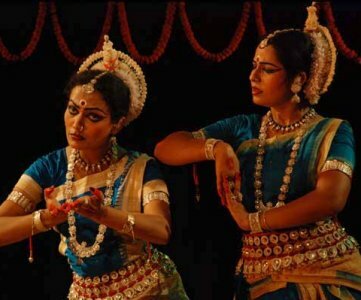 The choreography was by Guru Aruna Mohanty and the music was composed by Dr. Subash Pani. The next item was an excellent performance by senior dancer and Guru Naba Mishra who performed the "Kaibarta Prasanga," a well known episode from poet Upendra Bhanja's memorable work "Baidehisha Bilasa." It was easily the highlight of the day's performances; the combination of talent, skill and good preparation supported by very good music, made it an exceptional and memorable presentation. 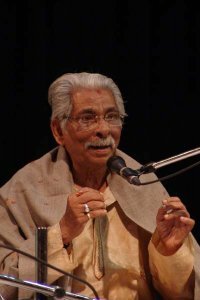 The dance was choreographed by Guru Naba Mishra himself and while the tune of the song was composed by the dancer himself, the prelude and interludes were provided by Surmani Ramesh Chandra Das. The concluding item was a group presentation of three pieces by Kasturi Patnaik and the Sankalpa group. 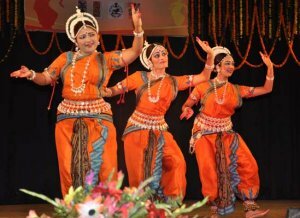 The three items "Hamsadhwani Pallavi," "Jaya Bhagabati devi namo barade" and "Nirvana" were choreographed by Kasturi Patnaik who also danced with her group. A lacklustre performance not expected of an artiste of her seniority. There was a general absence of synchronisation which revealed a lack of serious preparation for an event of the stature of a National Festival. The music for all three items were composed by Kasturi Patnaik.